Now in stock and ready for immediate shipment. Only at GradedSports.com. We are also BUYING all PSA/DNA certified Perez-Steele postcards. Send us your sell list today at info@gradedsports.com. 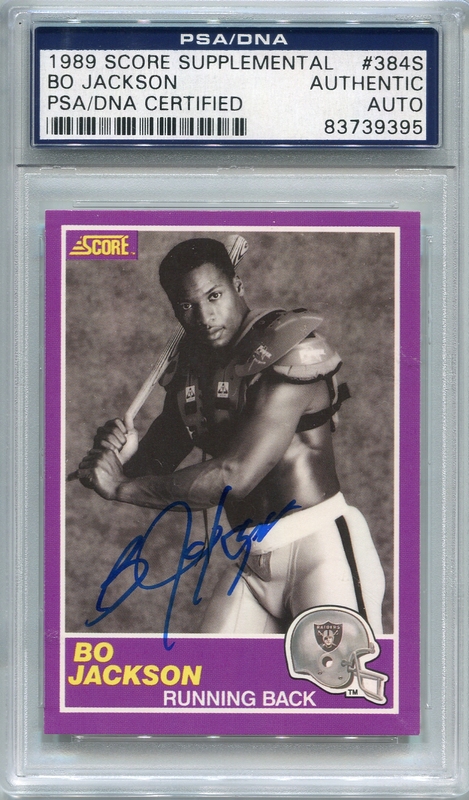 Or view our entire inventory of graded sports cards an autographs in our GradedSports shop at Amazon. 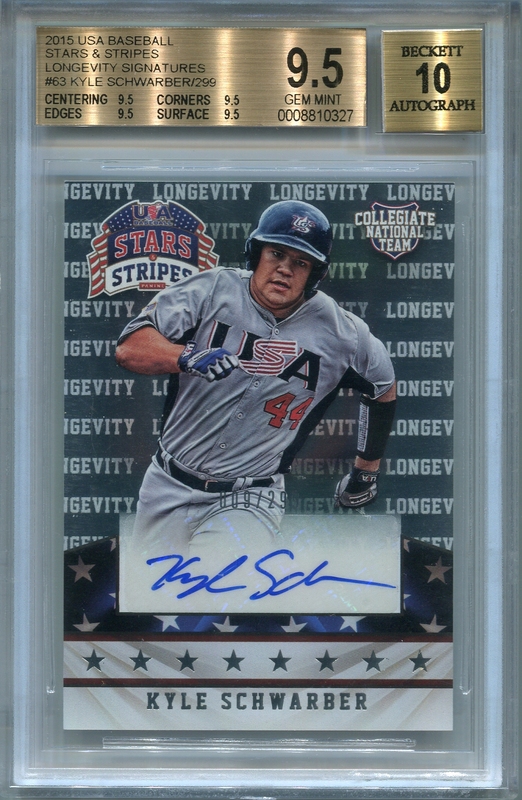 Graded Baseball & Football cards as well as PSA/DNA Certified Authentic Autographs make a great gift and everything is at least 20% off for Cyber Monday, but only at GradedSports.com. Plus great new items from 1949, 1950 and 1952 Bowman baseball, plus 1952 Topps baseball now in stock. And just arrived – 1948 Leaf football. All priced to move at Graded Sports Cards & Memorabilia. 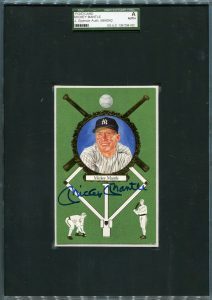 A great new group of JSA certified authentic autographs from Derek Jeter have now been added at www.GradedSports.com. Autographs make a great holiday gift and everything is at least 20% off now through December 17th at Graded Sports Cards & Memorabilia, so SHOP TODAY! 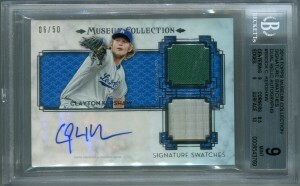 Or to view our entire inventory of graded sports cards and autographs visit our GradedSports shop on Amazon. 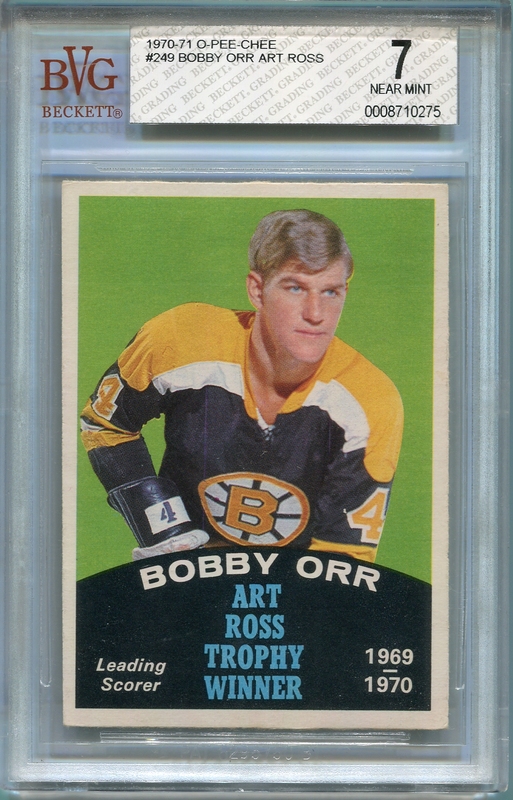 Graded Sports Cards & Memorabilia is your #1 source for graded cards from PSA, PSA/DNA, Beckett (BGS & BVG), and Sportscard Guarantee Corp. (SGC). 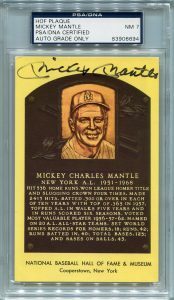 The reasons for grading sports cards include maximizing the value of your collection should you decide to sell it and protecting the condition of your valuable cards by having them permanently encapsulated. But grading also ensures easy trading through the mail and over the internet by verifying that the cards being graded are authentic and not tampered with through trimming or color restoration. It also removes any debate about the condition of the card since its real condition has been determined and certified by an impartial third party. So, how do you get your individual baseball card or entire collection professionally graded? First, you must choose a grading company – – and there are many, all charging different rates and offering slightly different services beyond the simple 1-10 or 1-100 grade. We’ll discuss the 3 most popular and trusted grading companies here as experience dictates they are also respected and book values are generally agreed upon for each with some regional variances. Also look for all 3 of these companies are the largest hobby and autograph shows and they will usually also accept in-person submissions at these events which can save significant time and shipping costs. #1 – The lion share of all card grading is done by PSA or Professional Sports Authenticator. 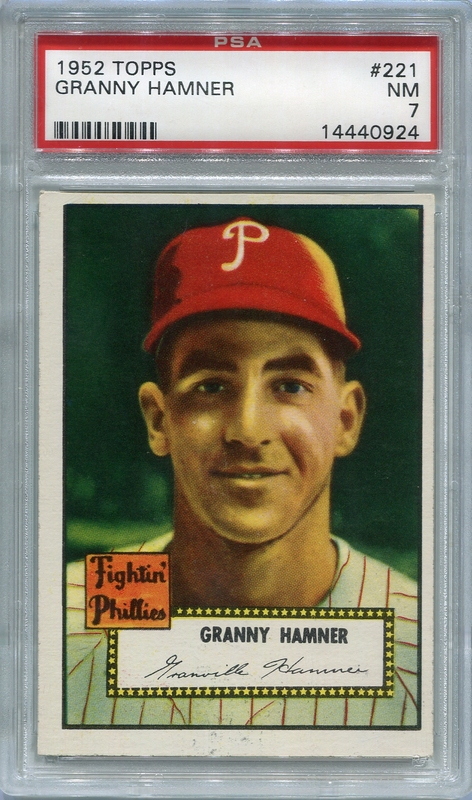 They are amongst the oldest and most respected in the industry and cards graded by them almost always get the highest premium for their very highest grades, (i.e. PSA 8 NM-MT, PSA 9 MINT or PSA 10 GEM MINT on a 10 point scale). At the link you will find information on card grading fees, how to ship your cards to them for grading (including submission forms) and information on what to expect and when you will receive your cards back. Fees for PSA grading range from $6.00 per card for bulk submissions (100 or more cards) of low value (i.e. under $100 book per card) up to $250.00 per card for cards valued over $10,000.00. Grading can take as little as a day for premium items, but most grading for larger groups requires 30-45 days plus shipping time. We recommend starting with just a small group submission of approximately 10 cards, but each collector will have their own specific needs. PSA offers a toll-free help line at 800/325-1121 for even more assistance than that available on their site. 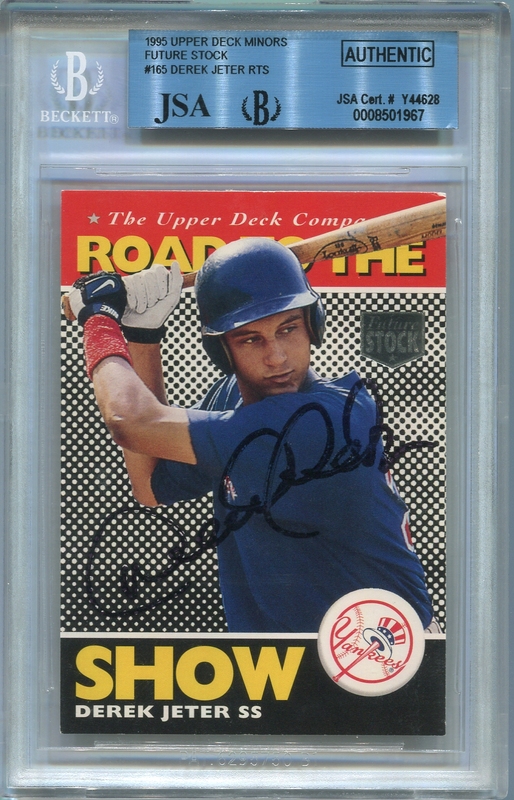 PSA or PSA/DNA as it is better known also offers grading and authentication of autographs, tickets and stubs, trophies, bats and original photographs, but we will address those items in a separate posting. The main negative to submitting non autographed cards to PSA is that they usually require an annual membership fee of around $99.00 to directly submit cards. Although this membership includes a monthly price guide, they are still focused on pushing smaller group submissions and singles through their authorized dealer network. The annual club fee does also include a credit towards grading that in some cases does exceed the value paid when also considering the value of the price guide. #2 – The Sportscard Guaranty LLC or SGC is probably the second most popular grading company. SGC uses a slightly different grading scale, preferring the 1-100 scale over the 1-10 scale initially created by PSA. The grading scores can be converted and SGC now also offers their own conversion to the 10 point scale in smaller type just below the main 1-100 grade. Their reasoning for the 100 point scale is that it eliminates the “tweeners” or scores for cards that say may be between a PSA 5 and a 6, or a 9 and a 10. A grade of 100 is extremely rare for cards submitted to SGC and such a score is generally considered superior to a GEM MINT 10 from PSA. But for grades other than SGC 100, our experience is that similar grades between PSA and SGC are generally valued at least 10-20% less for SGC in public auctions. SGC grading fees range from $5.00 each for ten or more modern day cards with 30 business day turnaround to $200.00 each for any card valued over $7500.00 with 2-hour service. SGC does not have any type of club fees to join or submit cards, and while they do have their own magazine they have not yet created their own price guide. 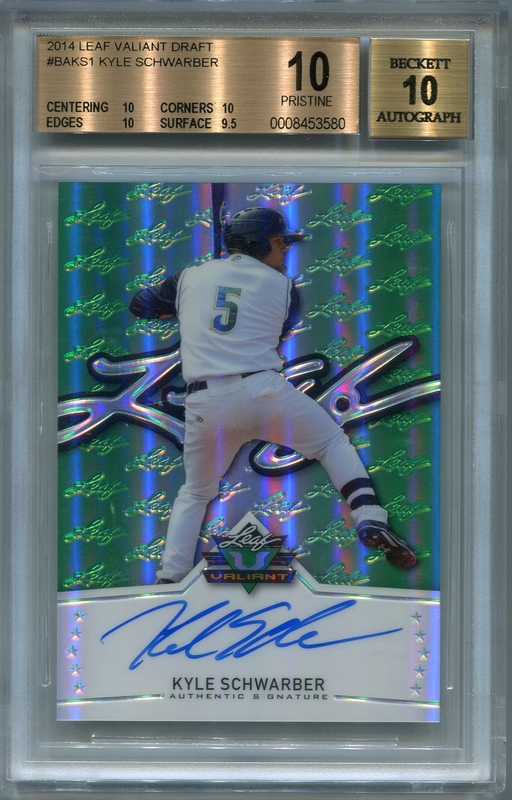 #3 – The third and final grading company that we will discuss here is Beckett Grading Service or BGS. In their effort to differentiate themselves from the other main players, Beckett devised a system that provides sub-grades for four aspects of the modern sports card (1981-present) – Centering, Corners, Edges and Surface. Each of the four aspects is assigned a grade of 1-10 and then the overall score is determined by considering those four sub-grades. They also have three different colored labels (gold/silver/white) for their respective top, middle and bottom grades. Their site also boasts of a premium case used for encapsulation, but from a value standpoint the labels and cases do not seem to create any real price differentiation for Beckett graded cards on the open market in our opinion other than for cards graded Pristine 10. And again, with the exception of cards garnering a perfect 10 score for all four aspects mentioned above, Beckett graded cards in general are perceived as slightly inferior to PSA graded cards and auction final prices generally reflects this through a discount of 10-20%, especially for modern cards. The main argument for Beckett on message boards and elsewhere on the web is that they provide a more consistent approach to vintage cards and some collectors prefer them for that reason regardless of book or sale prices. Charges for Beckett grading range from $7.00 per card for bulk submissions of 100 or more to $26.00 per card for submissions with a 2-day turnaround. There are no annual club or submission fees. Beckett has also generated its own fair share of controversy by creating a separate less stringent, more economical submission system called the Collector’s Club. 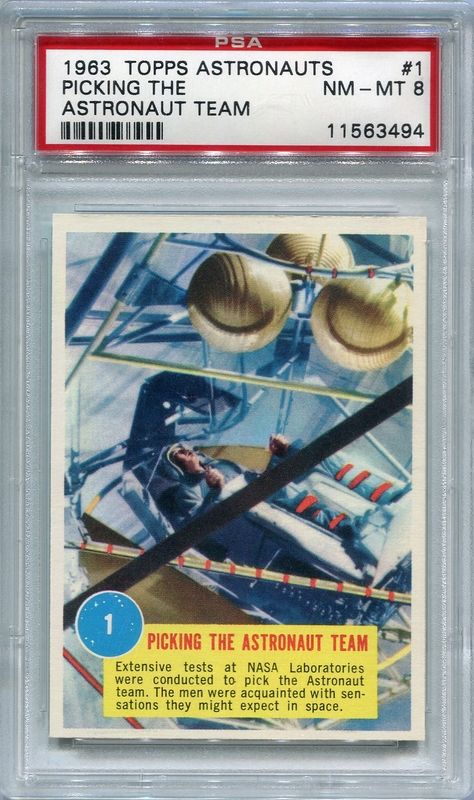 Many of these graded cards can be seen on the cable television shopping networks and the holders are differentiated with the BCCG label. Suffice it to say that, (in our opinion), the perception of home shopping networks has turned into Beckett’s reality for most serious card collectors who often shun these cards and sale prices for the BCCG labeled cards are significantly less (often up to 50-75% less) than cards submitted through the standard grading process for more serious collectors. Beckett tries to direct most inquiries to e-mail as the obvious low-cost method for them but if you dig deeper into the site it lists their phone number for grading submissions questions as 972/448-9188. 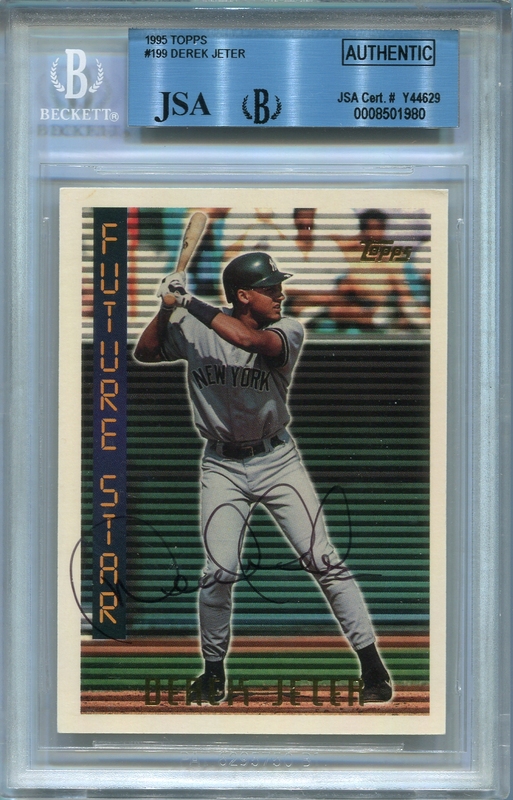 As a side note on BGS, previously maintained a partnership with JSA (James Spence Autograph Authentication), one of the leaders in sports autograph authentication/certification that some prefer to the basic autograph authentication service provided by PSA. 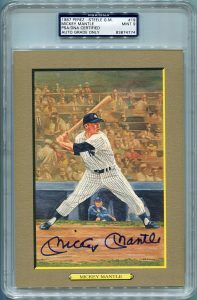 Currently, Beckett no longer authenticates autographs other than those that were pack-pulled, or signed prior to insertion into a pack of cards by one of the major licensed manufacturers such as Panini, Topps, Upper Deck, etc. In conclusion, the decision whether or not to grade your cards needs to take into account many factors including some of those discussed above. If you are a collector, grading can give you the peace of mind to know that your items are authentic and that there are a range of reasonable prices which you should be willing to pay based on established book values. If instead you want to sell your cards, grading can give you the confidence to hold out for the best prices on selling your individual cards or an entire collection. Trading is also much easier as established values and grades take much of the guess work out of collecting this way. At GradedSports.com we are always more than happy to assist you with navigating the grading process with any of the BIG 3 grading companies discussed here. And we also provide a pleasant, pain-free buying process for your entire baseball, football, basektball and hockey collection or any pre-1979 individual star card when you do decide to sell. Contact us today at info@GradedSports.com with your sell list for prompt, private offer you won’t be able to pass up! Or to view our complete inventory of graded sports cards and autographs visit our GradedSports shop on Amazon. A great new group of 16 vintage high-grade cards from the 1952 Topps baseball set including several rare black-backs, have just arrived at Graded Sports Cards & Memorabilia. With crisp, bold colors, great gloss and beautiful corners, these 63 year-old cards would make a great holiday gift. All discounted 20% off or more. All with FREE ground shipping in the U.S. SHOP TODAY! 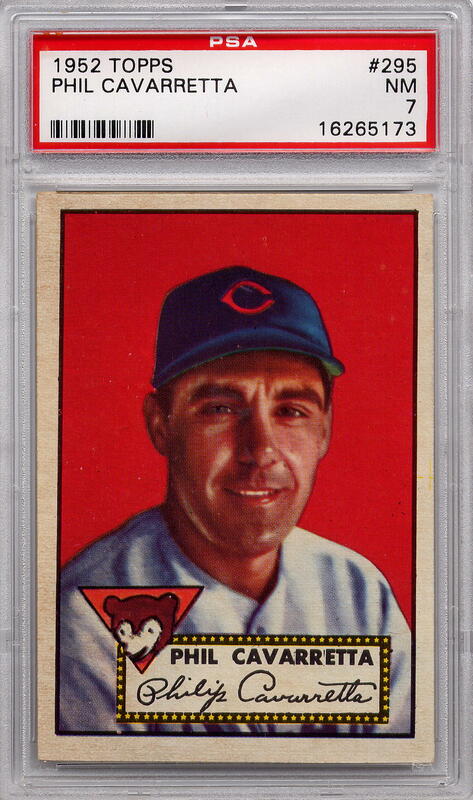 Also, check out our new selection of PSA 8 NM-MT cards from the iconic 1949 Bowman baseball set! 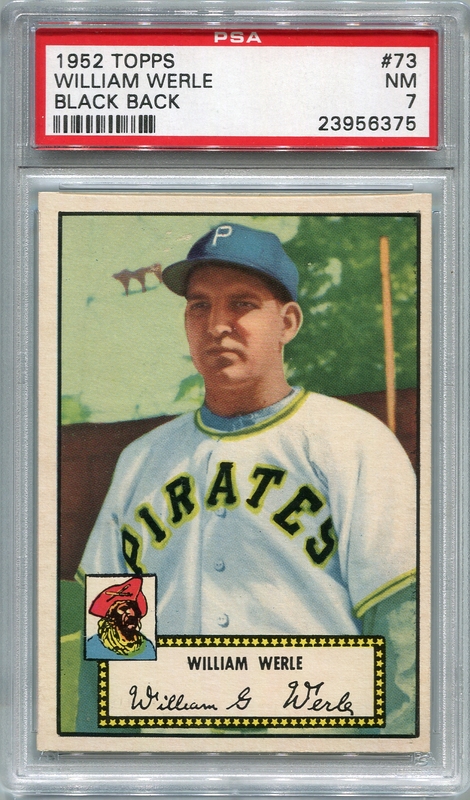 Do you have PSA graded cards from the 1940’s and 50’s to sell? Check out our “Sell Your Cards” page for more information on selling your cards for quick cash today! Start your holiday shopping early and SAVE at GradedSports.com. Or contact us today at info@GradedSports.com. 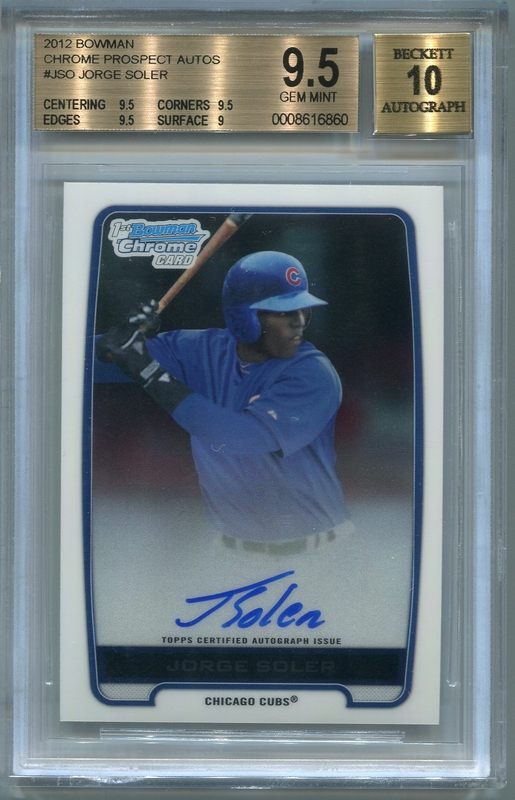 A great group of certified authentic Chicago Cubs rookie card autographs are now in stock and ready for immediate shipment at GradedSports.com. Cubs autographs make a great gift so SHOP TODAY with FREE SHIPPING in the U.S. on all orders of $100 or more! Plus, Greg Maddux, Ryne Sandberg, Billy Williams and many more rookie baseball autographs now in stock. 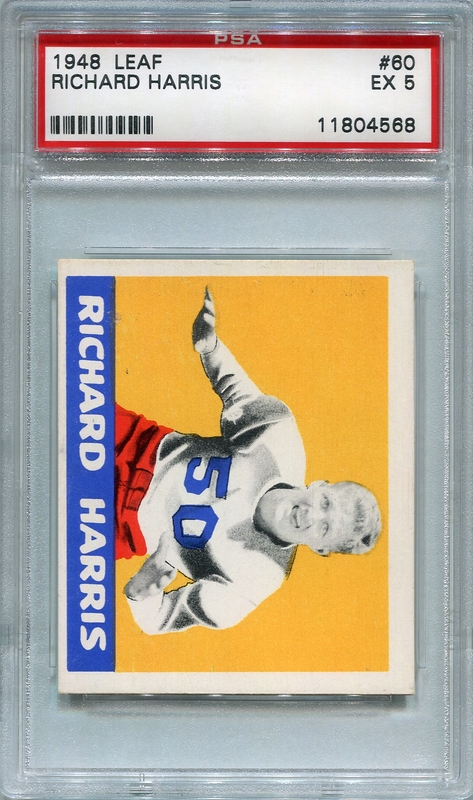 A great new group of PSA graded football cards from the 1948 Leaf set have just been added at GradedSports.com. 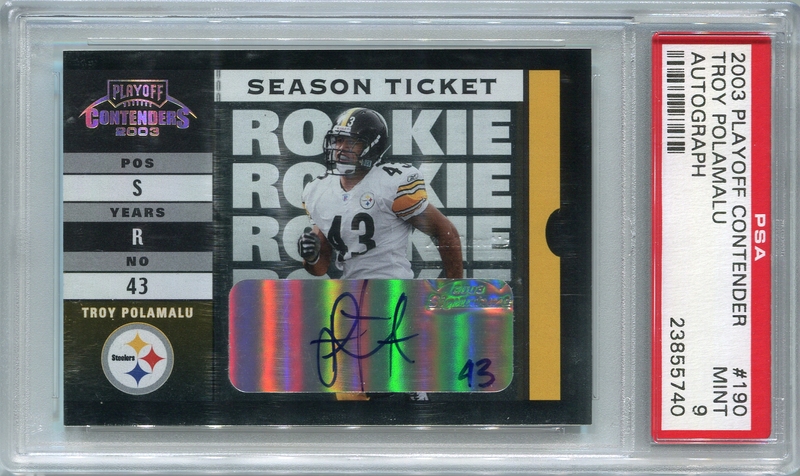 Get a head start on holiday shopping now at Graded Sports Cards & Memorabilia. FREE GROUND SHIPPING in the U.S. on all orders over $100. 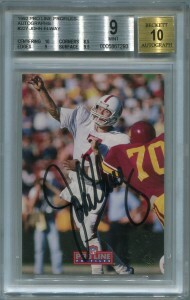 A great group of new PSA/DNA and BGS Certified Authentic Football Hall of Fame autographs have been added at GradedSports.com in June. SHOP Football Autographs today! 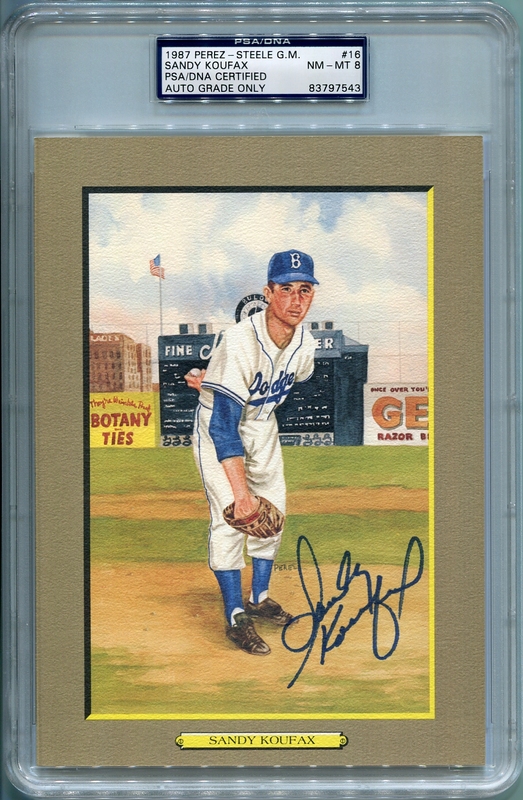 Or visit our newly updated Baseball Autographs section for even more great Hall of Fame autographs. 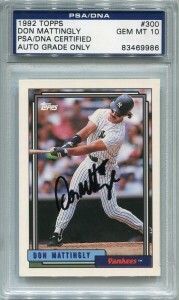 A great new selection of Don Mattingly New York Yankees PSA/DNA Certified Authentic autographed cards have just arrived and are priced to move at GradedSports.com. Check out all of our new Baseball Autographs here. 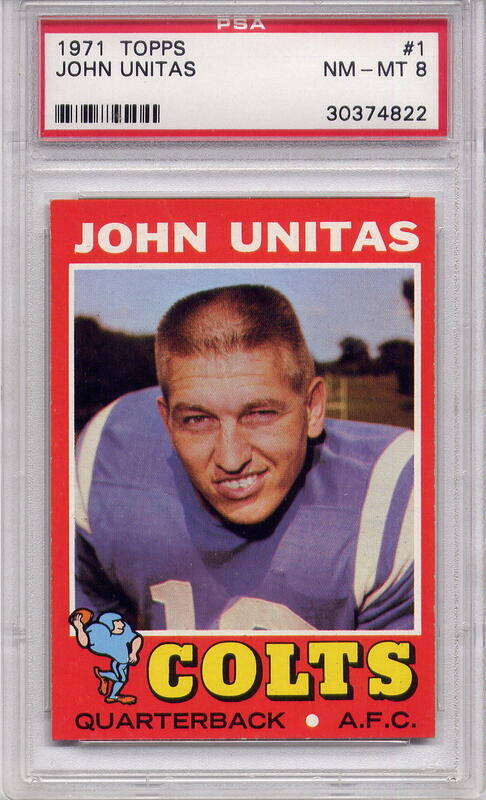 Or jump to our updated Football Autograph section here. Graded Sports Cards & Memorabilia is always buying great collections of PSA/DNA certified authentic autographs. Send your list to info@gradedsports.com today for a prompt, courteous offer. Or check our “Sell Your Cards” section for a complete list of all the cards we are Buying today!